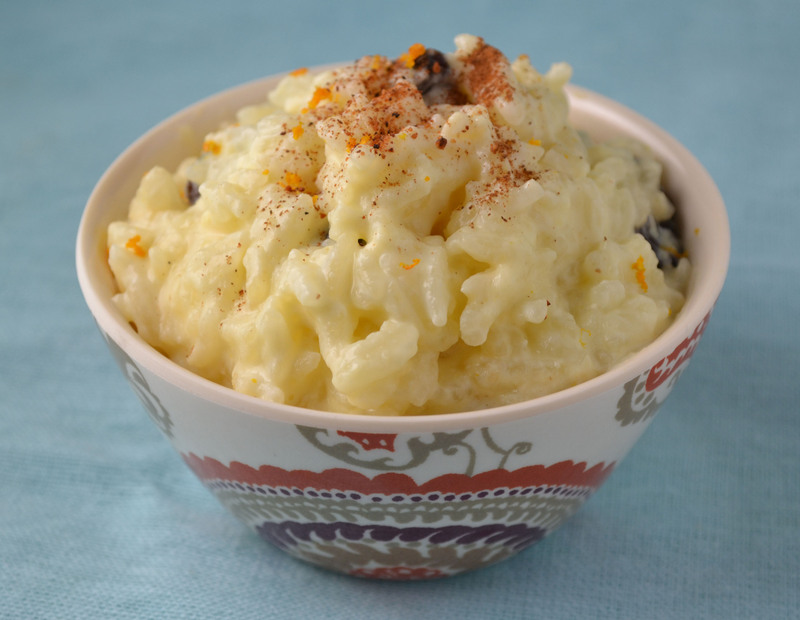 Comforting and easy, rice pudding is a classic winter treat. It’s often considered a dessert but I usually find myself making a big a batch and eating it for breakfast throughout the week. Maybe not the healthiest breakfast option, but it somehow makes more sense than eating it after dinner. This creamy pudding is not only simple but also budget friendly. You probably already have most of the ingredients. With just basics like rice, milk, eggs, and sugar – you can make a delightful rice pudding in under 30 minutes. There are, of course, variations that have slightly fancier additions. This version from “The Art of Good Cooking” dessert section includes vanilla extract, cinnamon, nutmeg, orange zest, and raisins. These ingredients add tasty layers of flavor but can be considered optional. I had to make a few more revisions to this recipe than normal. I don’t think it was tested as much as some of the other recipes in my grandmother’s cookbook. It may have been added last minute to fill space among the other somewhat random selection of recipes that make up the dessert section. Most of my revisions are in the measurements. Like most Paula Peck recipes, the ingredients themselves are a delicious combo. Heat milk and keep it warm. Add about 2 1/4 cups of the warm milk to rice in a deep pot. Cook over low heat, stirring frequently. From time to time, add more milk, as rice absorbs it. When the rice is entirely cooked, it should be in a very light creamy sauce. Stir in sugar, orange zest, and vanilla. In a small bowl, break up yolks with a fork. Whisk in about a 1/4 cup of liquid from the rice to temper the egg yolks. Add egg yolk mixture to pudding. Replace over low heat, stirring constantly until slightly thickened ( it will thicken more when it cools). Remove from heat and stir in raisins. Sprinkle with cinnamon, nutmeg, and orange zest (optional). Yum. The orange zest sounds like such a good addition to rice pudding.